Warwick Castle is the quintessential medieval castle complete with watchtower, drawbridge and a moat. It is a gorgeous site to see once you pass the ticket booth and gift shop. A narrow walking path winds its way downhill and very soon, after a small turn the view opens up completely and the castle appears in full view. It really looks like a castle from a fairy tale. 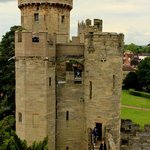 Warwick Castle, England – Majestic Warwick Castle with the impressive Guy’s Tower. Warwick castle is worth an entire day in order to take in all the sights, walk on the walls and attend few of the shows they offer. My kids’ favorite show was the Large Birds of Prey show with the largest birds I have seen. My best tip for visiting Warwick Castle is to arrive early in the day before the tourist buses get there so you don’t have to park your car at the bottom of the hill. 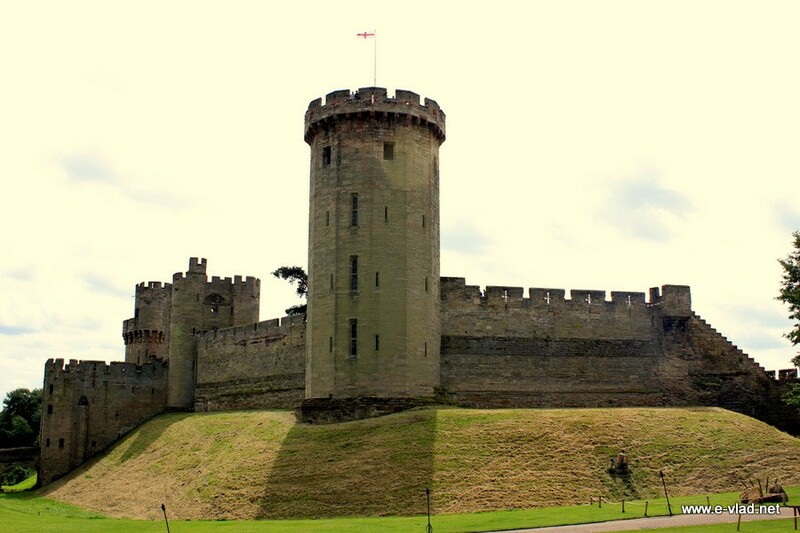 If you are planning to visit this area you can look for budget hotels near Warwick Castle. If you have a few days, you can couple your visit to Warwick Castle with a visit to the gorgeous Stratford-upon-Avon. Leeds Castle in Kent, England is my favorite castle in Britain. It is not as touristy as Warwick Castle and it is smaller. The grounds around the castle are simply gorgeous and the castle itself is built on a small island on a large lake. It’s just a beautiful medieval fairytale castle. 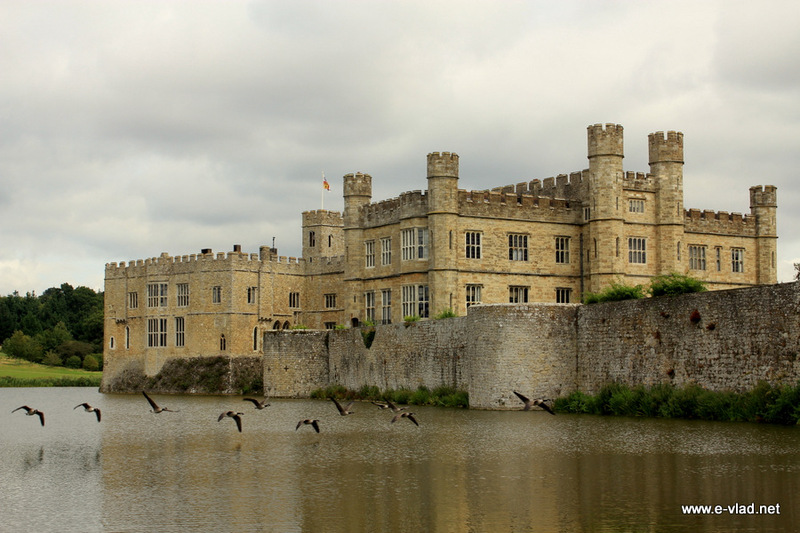 I spent an entire day at Leeds Castle by myself, but my kids would have loved it as well. There are lots of wild birds flying around the castle and the lake, while the vegetation is abundant and beautifully maintained. Making some extra time to stroll around the beautiful grounds is well worth your time. Leeds Castle is situated in the beautiful countryside in Kent. Having a rental car is the easiest way to visit. If you are planning a visit to the nearby Canterbury then make sure you visit Leeds Castle. 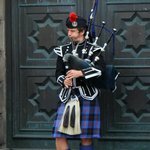 You can look for best hotel prices near Leeds Castle. Windsor Castle is the most well known castle in England and the most visited simply because it is very close the Heathrow Airport and most tourists that visit London visit Windsor Castle as well even if the only spend a few days in London. This is not to say that Windsor Castle is not worth your time. On the contrary Windsor Castle is an impressive castle with an amazing history which serves as a royal residence as well. 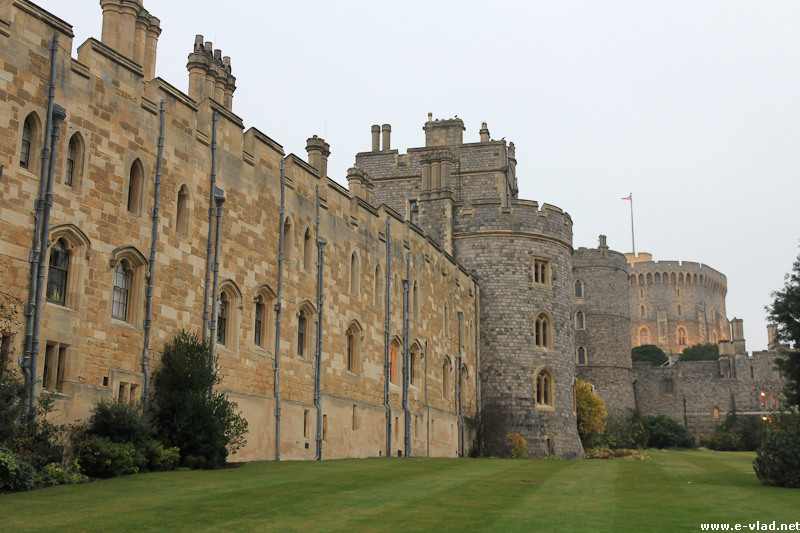 A part of the Southern Wall from Windsor Castle. Windsor Castle is situated in the the town of Windsor which is a charming small town built over many hundreds of years around the castle itself. The train station area and the Main Street across from the castle provide more areas to visit. If you are driving to Windsor you can find parking on River Street right behind the Main Street across from the castle. 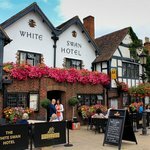 If you’re planning to visit this area you can find budget hotel prices around Windsor. 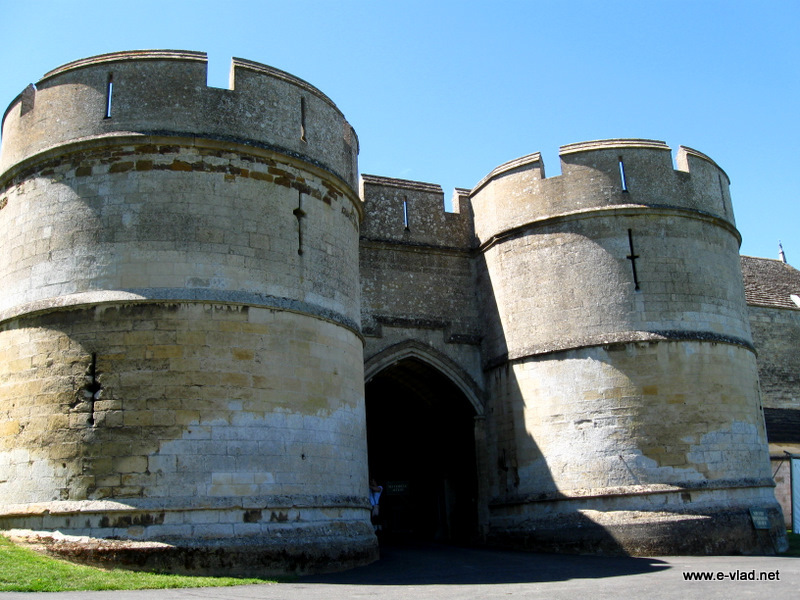 Rockingham Castle is a very old castle with huge walls and impressive towers. The interior is not large which makes for a very pleasant castle tour. 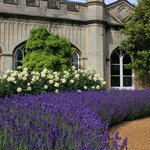 For us, the highlight of our visit to Rockingham Castle were the beautiful gardens which are simply gorgeous. Rockingham Castle gardens are among my most favorite British gardens. Road leading to the old church on the Rockingham Castle estate. Further down the road leading to Rockingham Castle entrance you can can also visit a small but very picturesque country church and you can also admire the beautiful British countryside. 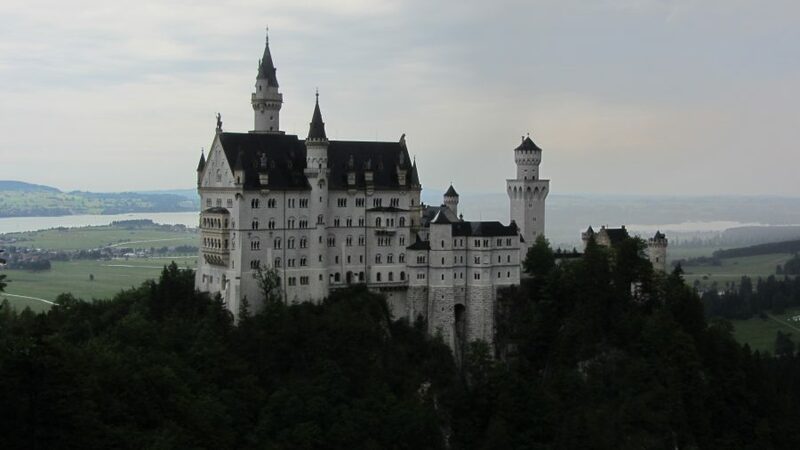 Castles are large properties and as such there is a lot to see and a very large property to walk through. Therefore, it is best to plan to spend an entire day in order to fully enjoy your experience. 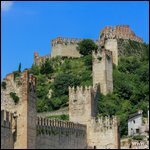 In addition, while the castle property is usually located near a town, they are generally far for walking from the town’s train station and therefore they are best visited by using a rental car.